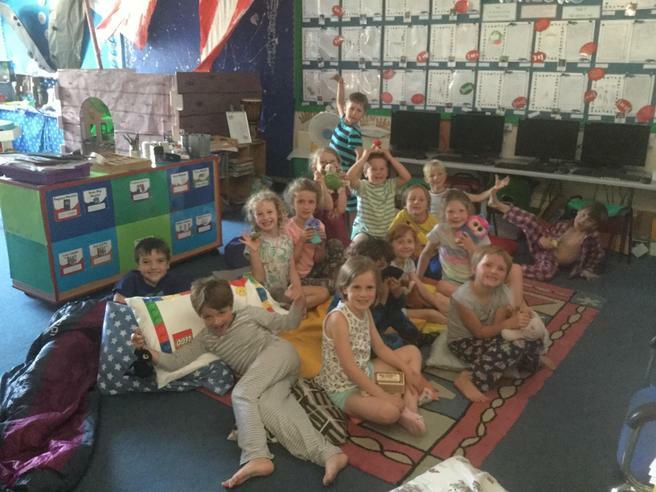 On Friday 29th June our Year 2 children, along with Miss Drabwell, and Miss Pitman had a Year 2 Sleepover in school! 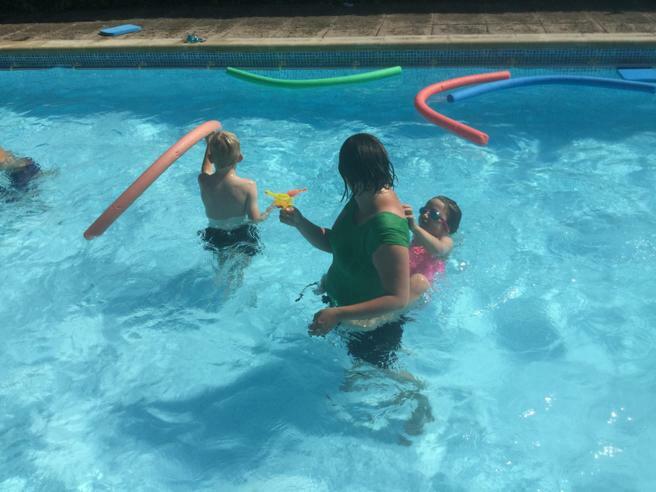 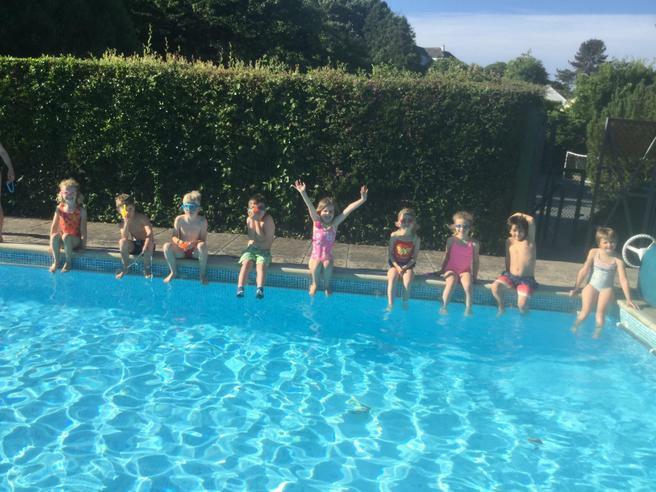 The action-packed evening started with a dip in the school swimming pool - a lovely way to cool off after a hot day in the classroom. 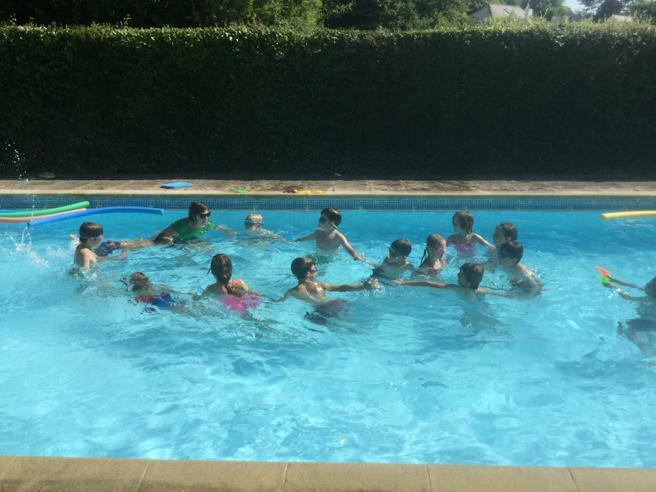 After lots of splashing around the children made their way to the Forest School area where Miss Drabwell cooked jacket potatoes and beans over the fire pit for them all. 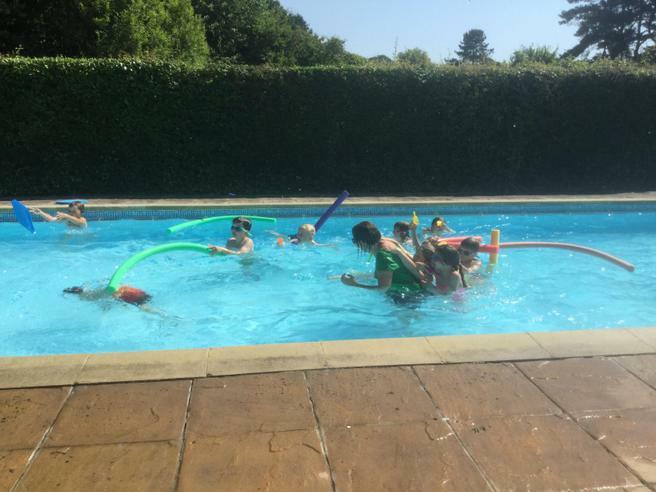 Once everyone had had plenty to eat and drink (and a quick run around the playground! 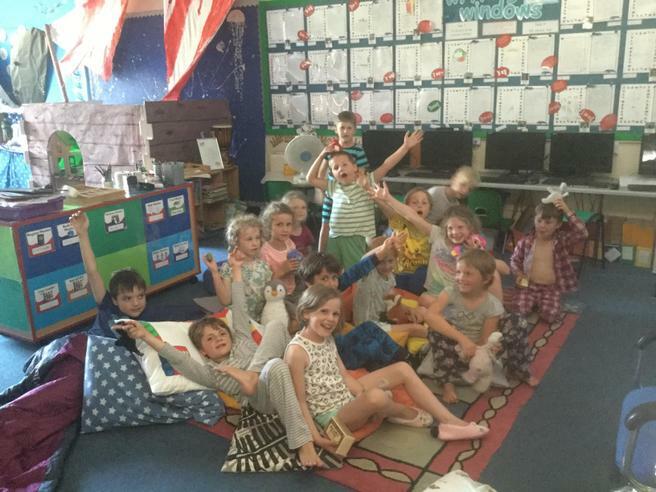 ), it was back indoors and into pyjamas for a 'cinema experience', complete with popcorn. By the end of the film, everyone was tired and ready to snuggle up in their sleeping bags with a good book. 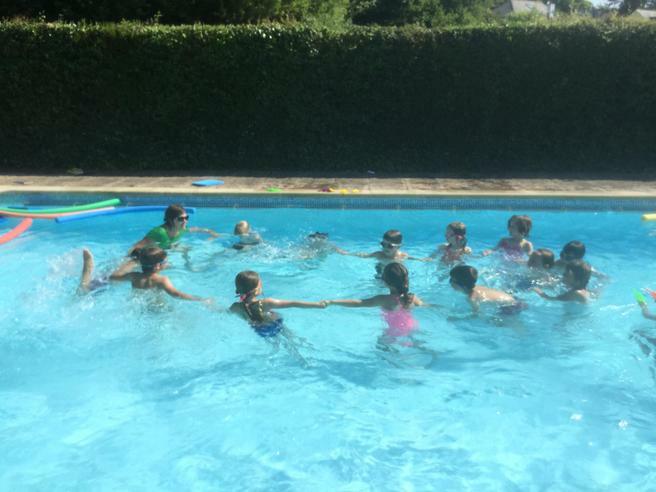 The sleepover adventure came to an end on Saturday morning when parents and carers came to collect the children at 10.00am. 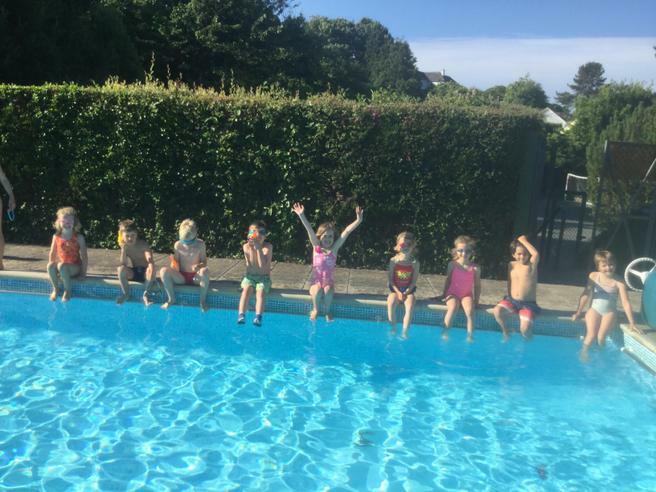 Everyone had a great time and a big thank you must go to Miss Drabwell for organising our annual 'Year 2 Sleepover'.